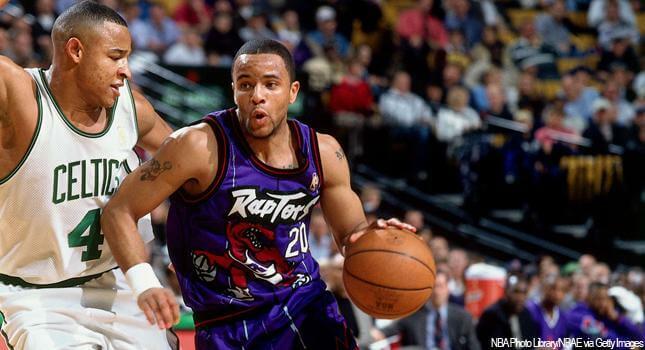 The Toronto Raptors were established on November 4, 1993, when the NBA, as part of its expansion into Canada, awarded its 28th franchise to a group headed by Toronto businessman John Bitove for a then-record expansion fee of $125 million. Bitove and Allan Slaight of Slaight Communications each owned 39.5%, with the Bank of Nova Scotia (10%), Vice President Isiah Thomas (9%), David Peterson (1%) Phil Granovsky (1%) being minority partners. The Raptors, along with the Vancouver Grizzlies, played their first game in 1995, and were the first NBA teams based in Canada since the 1946 – 1947 Toronto Huskies, though the Buffalo Braves had played a total of 16 regular season games at Maple Leaf Gardens in Toronto from 1971 – 1975.